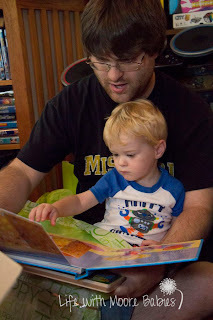 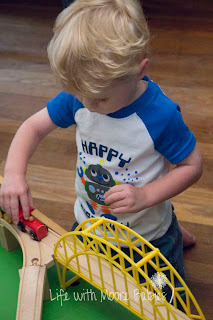 My little baby boy turned 2 (*sniff*)! 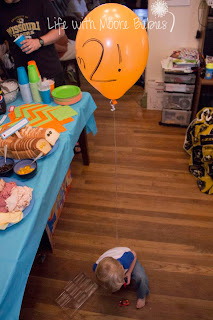 It doesn't seem like it has been a year since his Monkey and Little Man parties (yeah he had to have 2 first birthdays). 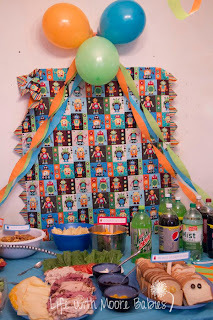 It took me a while to decide on a theme for his party, but I finally went with robots (some of you may remember that is also what his room is decorated with). 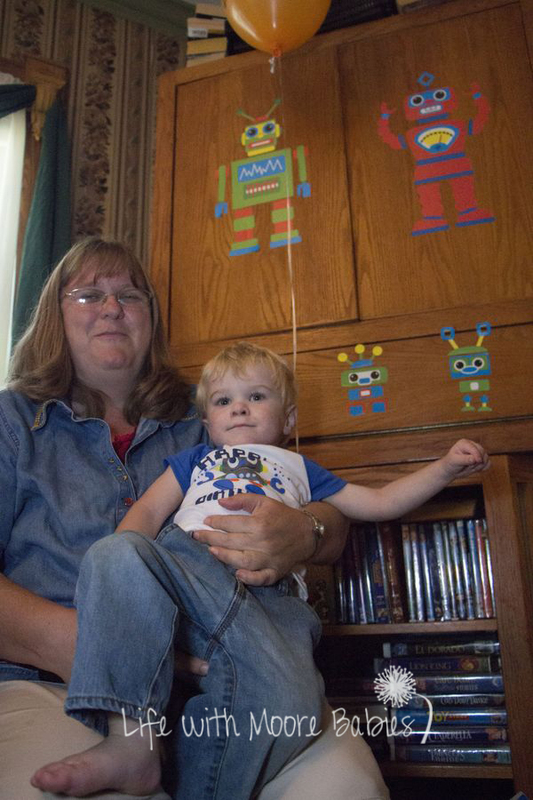 And one of his first words was "ba-bot," so it seemed fitting. 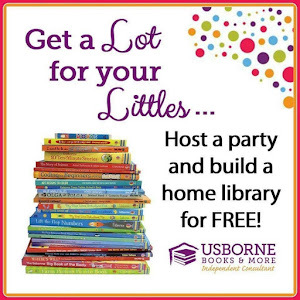 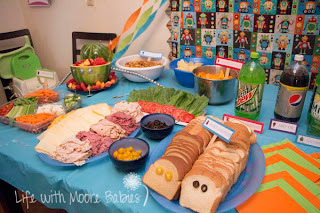 Besides, I could use some of the decorations from his room for the party! 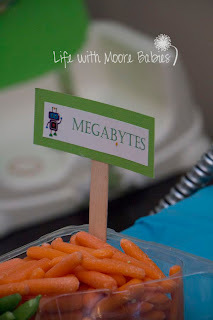 I found some robot invitations that were orange, green, and teal which matched the colors room well, so I went with those instead of making my own. 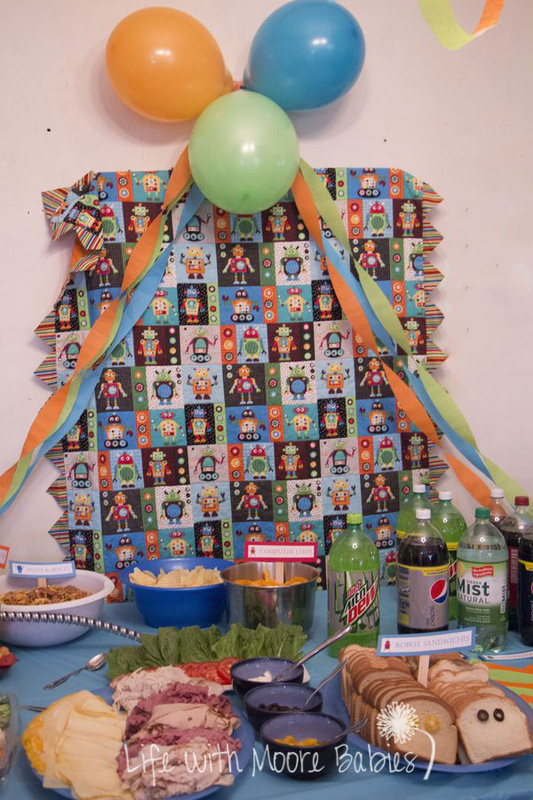 We had streamers and balloons in those colors too, and I hung up his quilt as part of the decor. 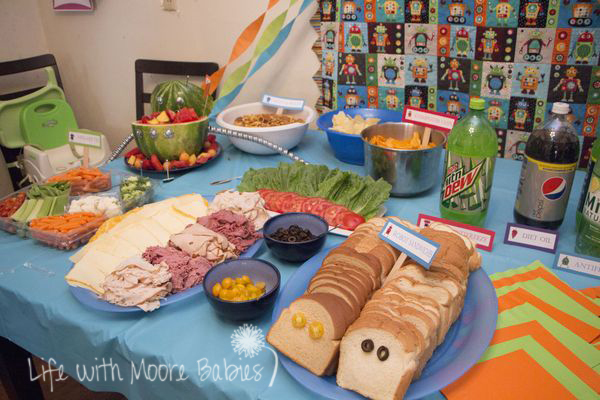 For he most part the food was simple with some cute robot names. 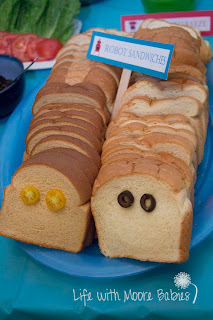 We had Robot Sandwiches by adding olive or tomato eyes to bread slices. 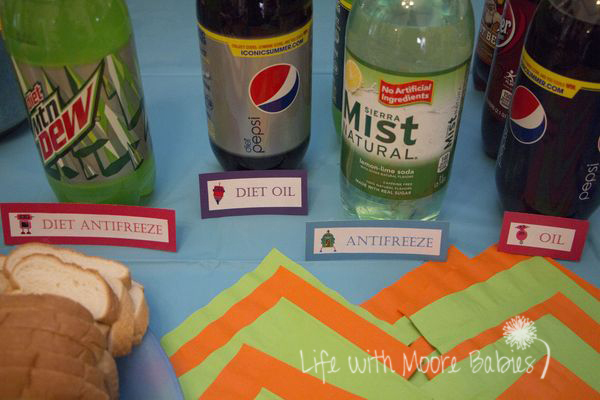 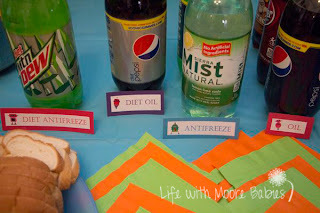 We had Oil and Antifreeze (and diet oil and diet antifreeze) to drink as well as water or juice. 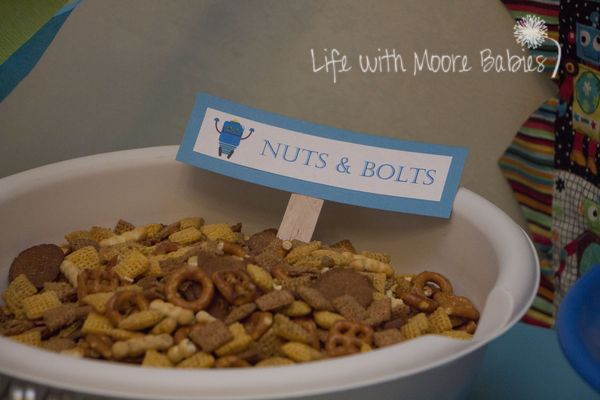 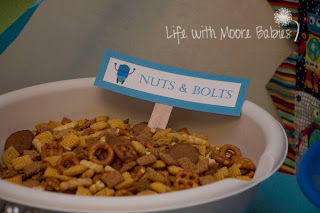 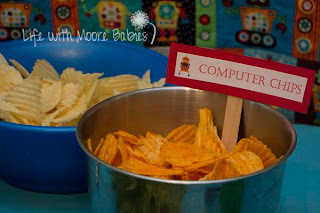 We ate Computer Chips and Nuts and Bolts (Chex Mix). As well as a few Megabytes (vegetables) and a Robo-Melon! 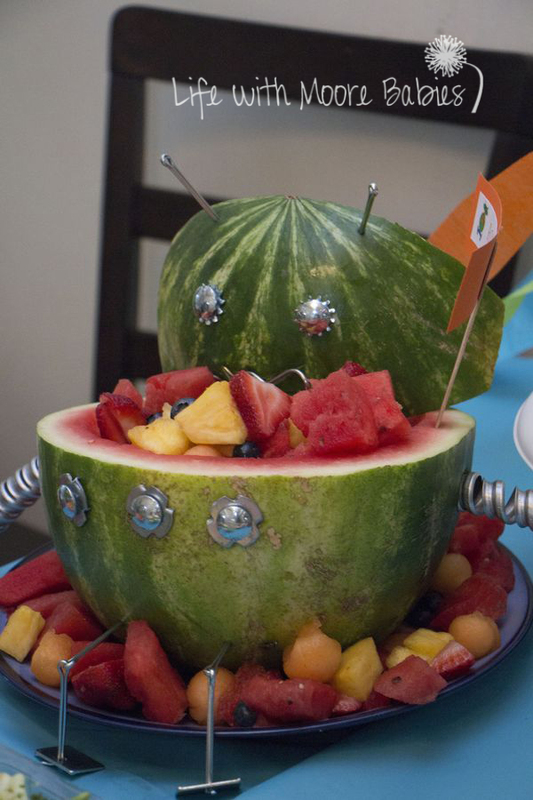 I wish I had gotten a picture of the Robo-Melon with his arms and sign, but you can see most of him! 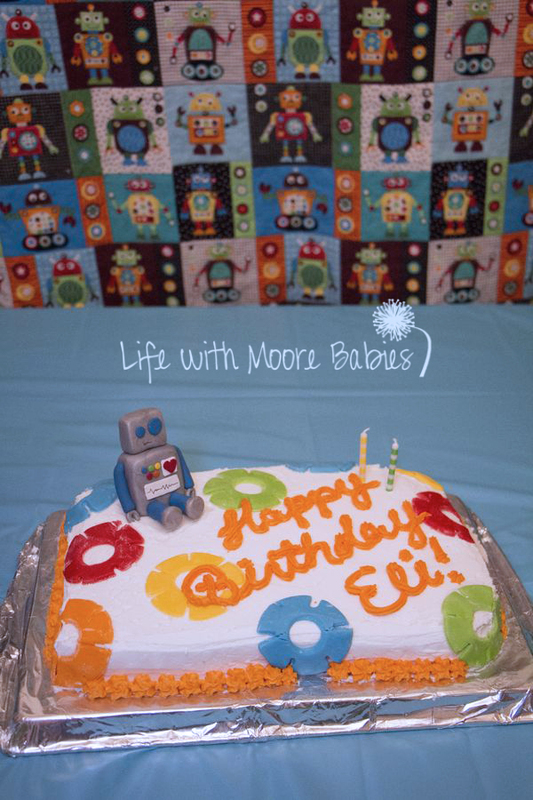 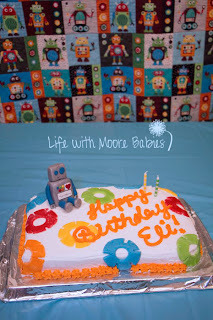 His cake had gears made from fondant and a cute little robot his daddy made him from clay. To cut the gears out I used a daisy cookie cutter, then a biscuit cutter (aka a glass), and a bottle to make the centers. 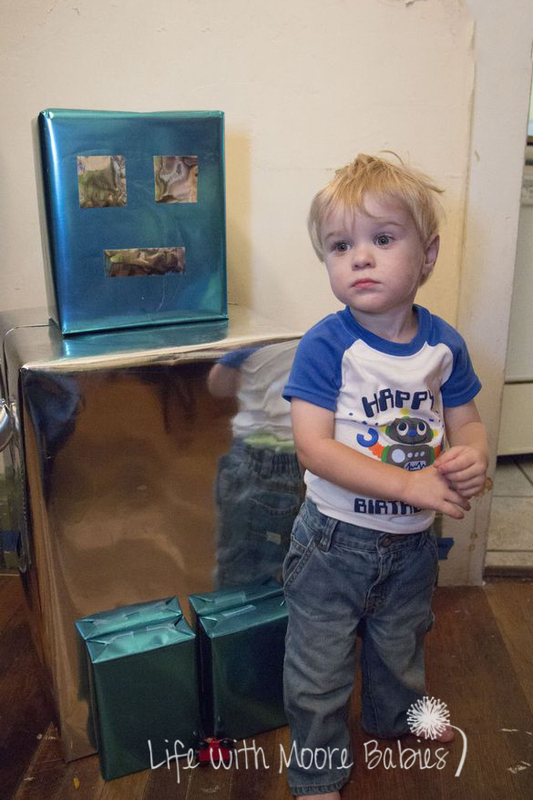 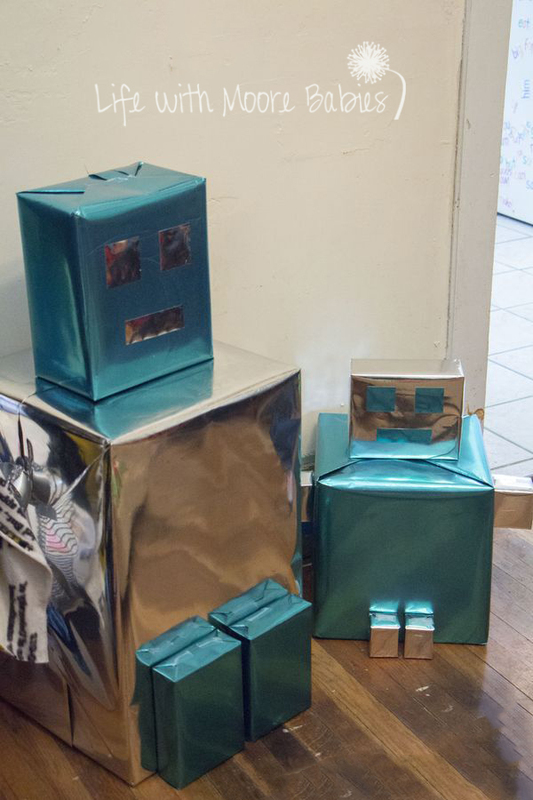 As part of the decorations I wrapped different sized boxes in shiny paper to make robots. 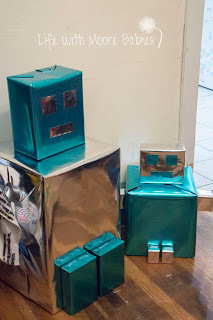 The big robot had slinkys for arms while the little one had small boxes hot glued on. 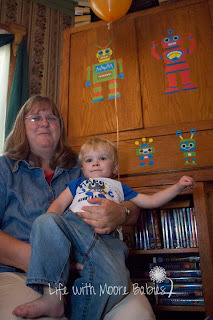 I did bring out some of the robot wall clings from his room (there were some on the door too) and my husband made sure there were plenty of Lego Transformers sitting around. We had enough helium in our little tank for 1 balloon, so that was Eli's balloon. 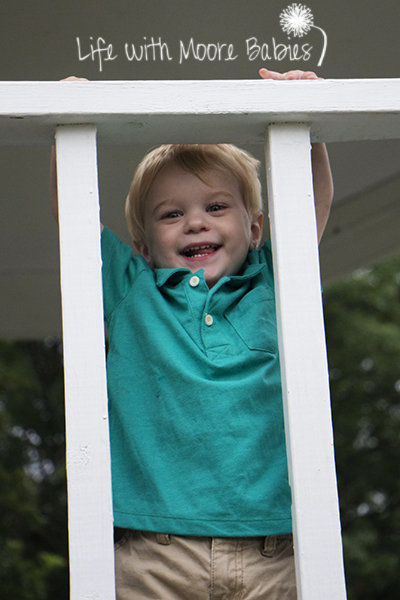 We tied it to his back belt loop! 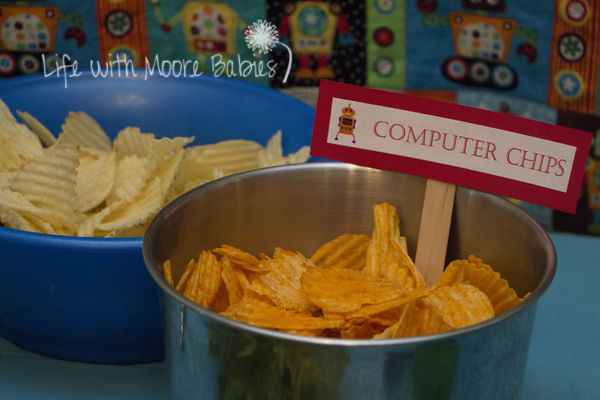 All the kids went home with a Robot Snack too. 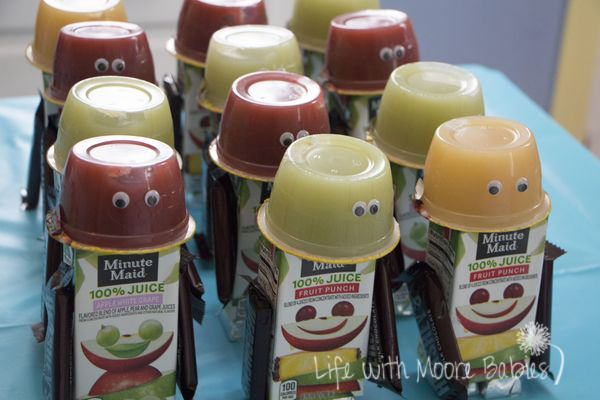 It was a juice box with an applesauce head, candy bar arms and candy bar feet. 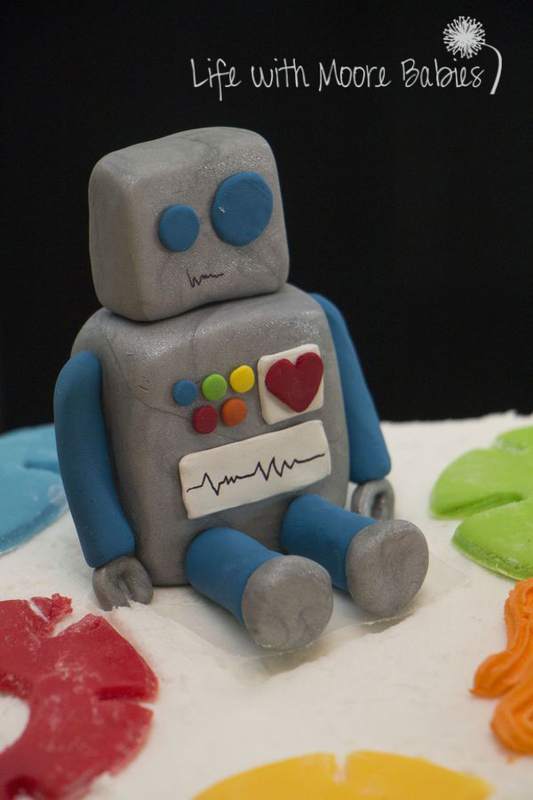 I wanted Nerds for feet, but for some reason I couldn't find the little boxes. I used glue dots to connect them all (would probably hot glue them if I had it to do over). 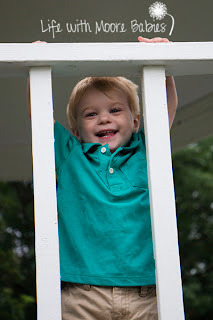 I think he had a good time, and hopefully everyone else did too! 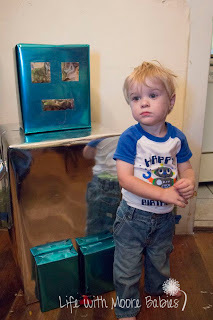 I know he is enjoying his presents today!